Sometime around the year 2000 my friend told me about cheap tents. She managed to persuade me that camping would be the way forward….cheap holidays and lots of fun. After some gentle encouragement from my husband, and lots of misgivings on my part, I bought the tent and away we went. I’ve often thought since then that camping is something you either love or you hate. I really don’t think there is any middle ground. In my case, surprisingly, I loved it……..I still remember that first morning waking up in the tent and hearing the sound of nothingness all around and later on but still very early watching the summer mist slowly rising over the loch. I don’t believe I had ever seen or experienced anything so beautiful. I still get that feeling each and every time we go away, whether I am in a tent or a caravan. 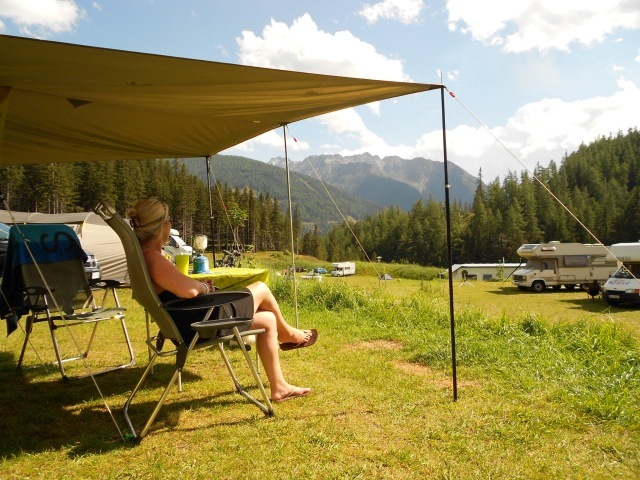 Camping has become a way of life………work and home is just something that’s there !